Romanians tend to rejoice with traditional dishes such as Sarmale (cabbage rolls stuffed with ground meat), Ciorba de burtă (tripe soup) and Mici (similar to kebabs). Luckily for those seeking plant-based foods while traveling around here, Romanians are also rather religious. Following the Eastern Orthodox church principles, the more traditional folks “fast” twice a week. While they don’t literally starve themselves, they do something similar to Lent, that is, abstain from animal products. To cater to those who are fasting, restaurants, cafes and bakeries make available de post dishes and products. 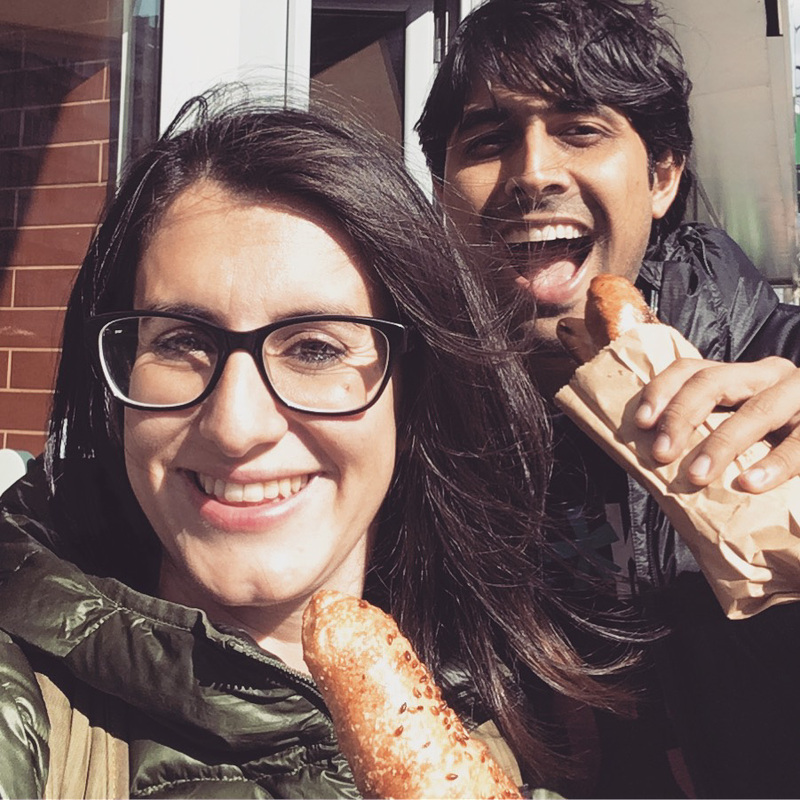 While they certainly do not make up the majority of the menu, these vegan items will make it easier for vegetarians and vegans to not only eat well while traveling in Romania, but to still try some of the typical local food. Following the same lines as Middle Eastern mezze, most cold appetizers in Romania are plant based and delicious! There are quite a variety of dips meant to be eaten with bread. The star of the show when it comes to cold appetizers in Romania has got to be Salate de Vinete, that is, eggplant dip. This mashed eggplant recipe is rather similar to Baba Ganoush and it is one of those things Romanians may eat whether they are fasting or not. You will come across this grilled eggplant salad and many other tomato and bell pepper based dips not only in restaurants but even in salad bars at the bigger supermarkets. Soups in Romania could be considered more than just an appetizer to the main meal. Served in generous bowls (usually 300ml or more), pureed soups and soups-going-on-stews tend to be hearty and fulfilling. You may not even need bread to comfort your stomach, as soups are always served with incredibly generous amounts of croutons. 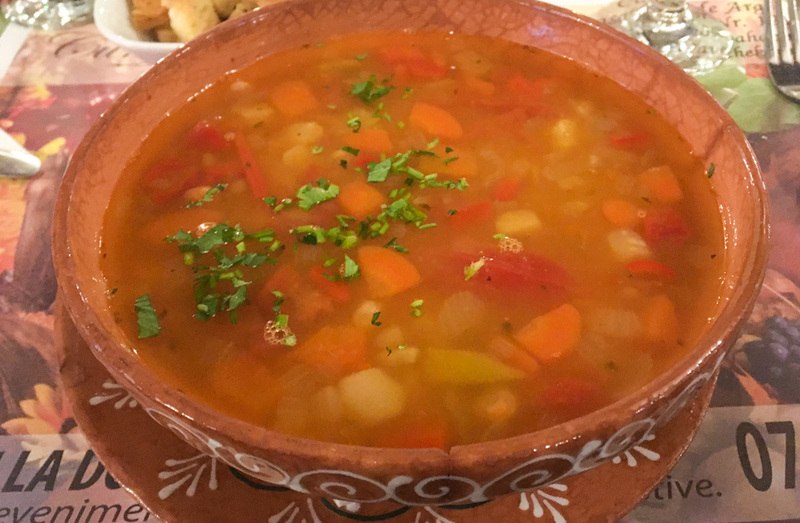 One of the most customary de post soups is Ciorba de Fasole (white bean soup). And while cream of mushrooms is also very popular around here – like all things mushroom, should I add – it is obviously not vegan. 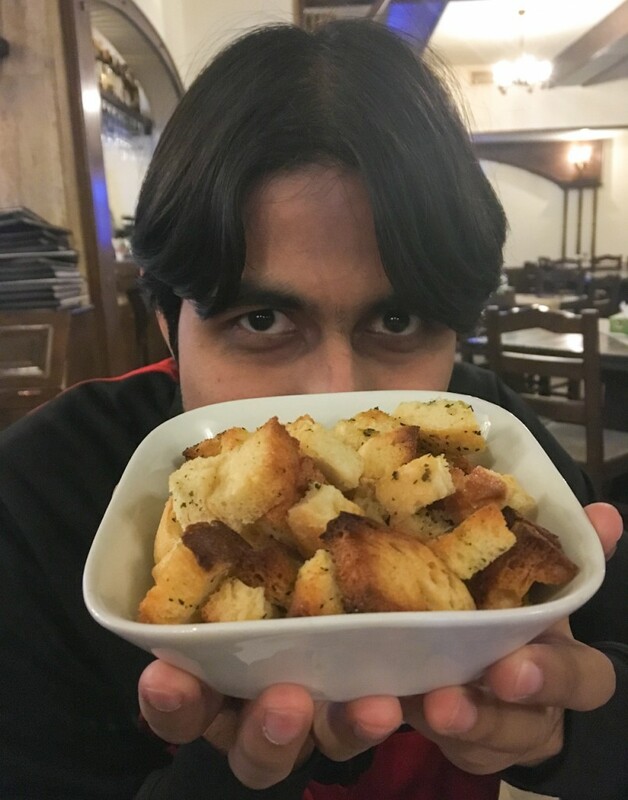 Romanians are CRAZY for croutons! This is the amount of croutons served with one plate of soup! 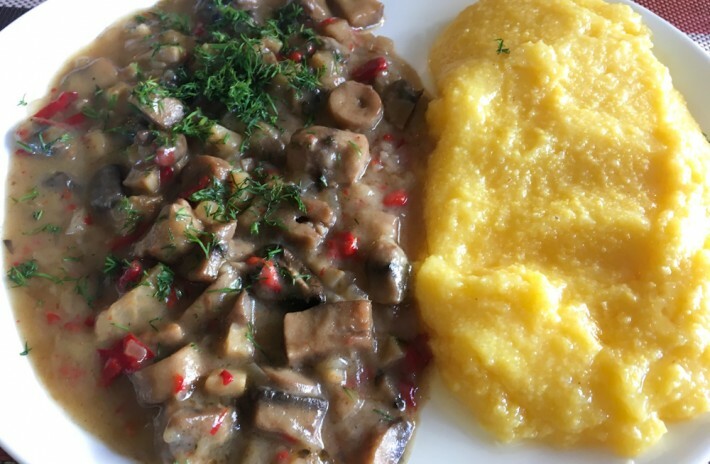 Polenta, locally known as mamaliga or mamaliguta, is a staple in Romanian cuisine. While most frequently paired with meat based preparations, it is also a good side to vegetarian recipes such as cabbage or mushroom stews (pictured above). 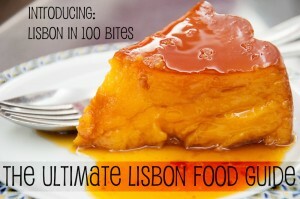 Many restaurants will also serve it baked in the oven, topped with glorious amounts of melted cheese. Romanian and Italian foods go hand in hand in Romania. 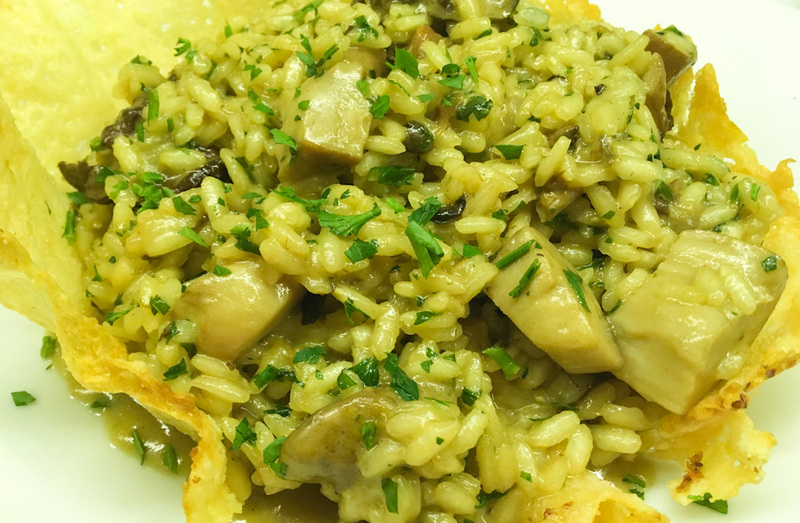 While there are a great number of specialized Italian restaurants all over the country, it is common place to see Italian recipes featured in the menus of local restaurants too. As such, vegetarians will always have the chance to dig into multiple vegetarian pizzas, pastas and rice dishes. 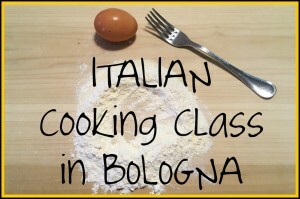 As for vegans and fasting individuals, other Italian preparations without animal products whatsoever are also available. Think Spaghetti Aglio e Oglio, Penne all’Arrabbiata, salads, freshly baked Focaccia and, sometimes, even cheese-free pizzas loaded with veggies! Skip the Shawarma… go for the Falafel! Kebab joints seem to be A BIG thing all over Romania. Not only are these great places to eat on a budget, they will always have at least one vegetarian option: falafel! Get a wrap with falafel and hummus topped with salad for a great quick vegetarian fix, simply skip the garlic-yogurt sauce if you prefer to have it the vegan way! Romania loves dough! In this respect, it truly reminds me of Portugal. You’ll come across little bakeries selling sweet and savory warm items on most streets. In these establishments, you can get a bite for as little RON 1 (the equivalent of USD 0.25). While I wouldn’t recommend sourcing your main meals from bakeries (hello carb overload! ), these are great places for breakfast or a pick-me up snack. 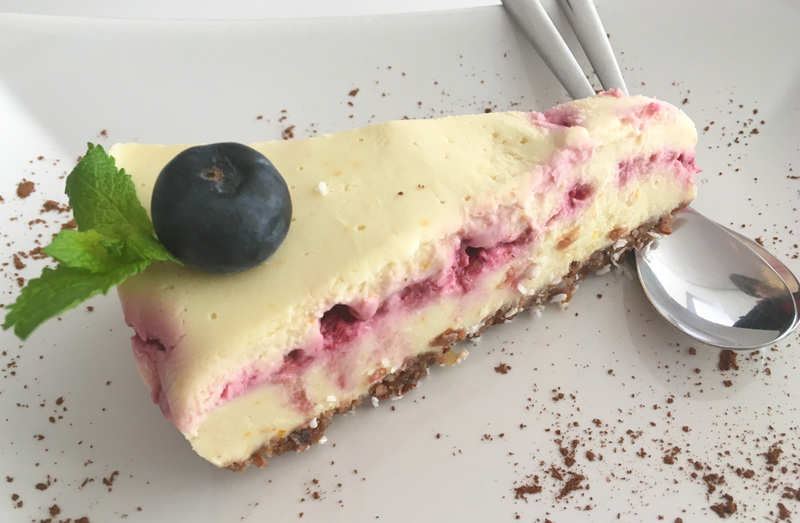 You can expect to come across baked goods such as Covrig (a pretzel shaped bread that tastes like a Turkish simit/bagel), Placinte (pies with different savory or sweet fillings) and puff pastries with all sorts of fillings and toppings. Many bakeries will also advertise de post items, which will either tend to be goodies without a filling or stuffed with veggies such as cabbage, onions and mushrooms. Even though we are not vegetarian, we’ve been eating mostly vegetarian food while in Romania. One of the quick tips I would add in this respect is that, sometimes, it is worth skipping the “main dishes” section of the menu and creating your own meal from the side dishes listed towards the end pages. You may be able to combine items in a way that ends up satisfying you more than the concept of vegetarian meal featured under the establishment specialties. In restaurants with a fairly decent variety, you will easily come across the vegetable dips mentioned before, mixed grilled vegetables, sauteed mushrooms, baked potatoes, plain rice and rice with vegetables, baked beans, sauteed green beans, pickled vegetables and several fresh salads. Vegetarian and vegan foods in Romania are not that hard to find. But I can’t say they are always the most exciting to indulge in. If you are traveling around the country, chances are your diet will get fairly monotonous after some time. 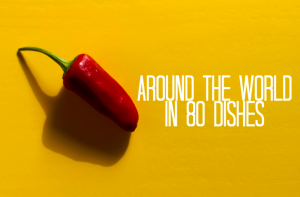 While in bigger cities like Bucharest, Sibiu, Brasov and Cluj, you can splurge a little and visit specialized restaurants that will hit a different spot. Along those lines, we’ve greatly enjoyed Rawdia in Bucharest and Brasov, and Samsara Food House in Cluj. Also, wherever there are Indian restaurants, there shall always be veggie options. Indigo in Cluj is really good, for example. While definitely not every Romanian has religious inclinations, I hope locals who eat out do see the fasting food options as an opportunity to add variety to their diets. Well… at least this is what we have been doing here in Romania! Yes, we were also surprised that there is this “other side” to Romanian cuisine, which happens to be completely different than the usual meaty fare. We didn’t experience the Halal food scene of Bucharest, but if you google “Halal food Bucharest” there are actually quite a few results that come up!